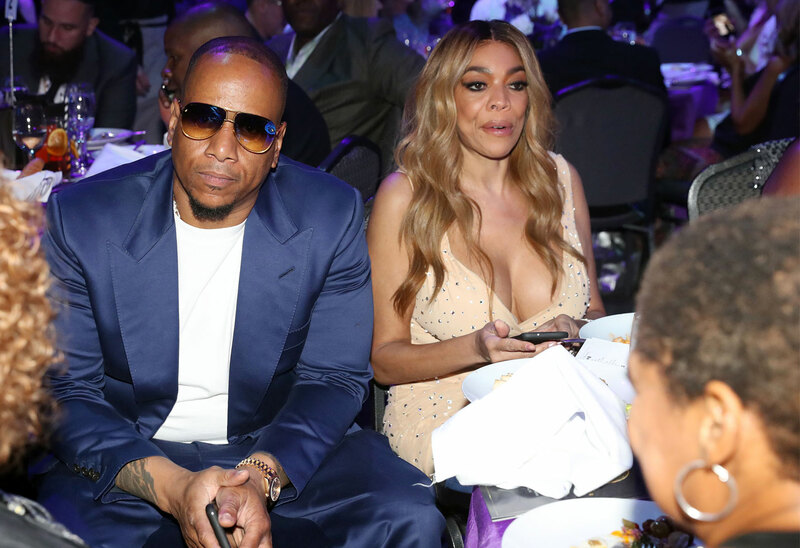 Wendy Williams is officially divorcing her unfaithful husband Kevin Hunter. As Star readers know, he allegedly cheated on her, and his mistress reportedly got pregnant with her child. All this has been going on amid Wendy’s health and sobriety struggles. Click through the gallery for all the info. Wendy, 54, filed for divorce, a source confirmed. She had previously been spotted without her wedding ring. Wendy and Kevin, 46, married in 1997. They have one son, Kevin Hunter, Jr., 19. The TV host worried fans back in December when she appeared disoriented on her talk show, slurring her words. She claimed she had fractured her shoulder and was taking pain killers. She ended up taking over two months off from her show. When she returned, she blamed her absence on thyroid problems. But Wendy later revealed that she had been struggling with drug use and was staying in a sober home. Kevin called her sobriety "a family process." She relapsed at the end of March amid rumors that Kevin’s alleged mistress had given birth.